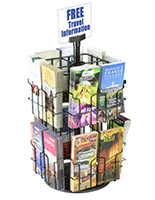 Featuring strong welded metal construction, these wire literature counter displays will provide years of service wherever the application. 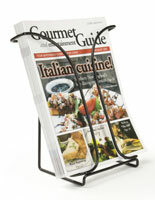 When compared to brochure and flyer holders made from wood or acrylic, the welded wire frame won't dent or scratch. 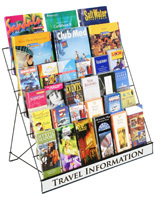 In addition, their open design allows for easier recognition of the reading materials, whether as a single pocket or multiple-level rack. 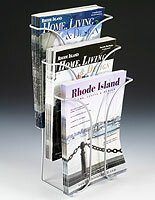 Retailers make efficient use of these wire literature counter displays at checkout counters, offering customers magazines, gift cards, and postcards. 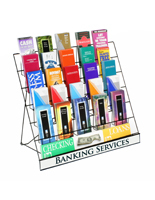 Other users include financial institutions that need a compact way to offer take home literature filled with mortgage and CD rates, or information regarding their checking and savings accounts. The same is true for just about any service provider. 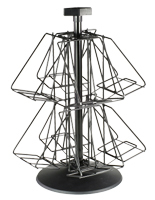 Company info and/or specifics about the services they provide all need to be organized in a small footprint, due to the countertop nature of these models. 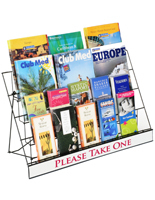 If sitting down at a salesperson's desk, pamphlets also need to be within easy reach. 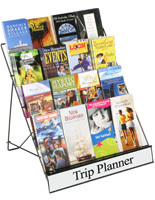 Souvenir shops are another big user; anytime one visits a tourist attraction or destination, information regarding local features, dining, and shopping are almost always offered in the form of folded brochures or flyers. 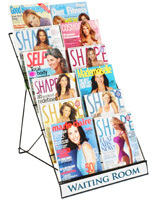 And how about waiting rooms? 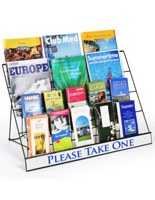 Magazines for reading as well as brochures explaining medical symptoms or medicinal side effects need to be organized in these public areas. 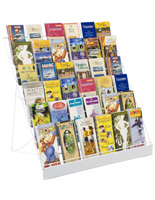 A counter display storing these reading materials not only keeps the room tidy but also projects a more professional environment. 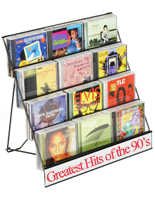 With budget-friendly pricing and same day shipment on all products, purchase these affordable wire-frame stands and racks for your place of business today.